Which is the most elegant city in Italy? But my vote goes to Turin, the first capital of unified Italy (1861-1865). The city is the capital of Piedmont in north-western Italy – the region known for its white truffles and full-bodied, red wines (read my previous post on Alba Truffles & Barolo wines here). Despite its many charms, the city is still under the radar for most tourists (perhaps it’s a good thing?). I have visited it twice – once in summer, when it passed by in an illness-induced blur, and once in autumn when I truly had the chance to appreciate its beauty. So here are my top 5 reasons why you should visit Turin (and it does not include the Shroud of Turin, which is anyway on display only for a few weeks, every few years). Turin was the base of the House of Savoy, Italy’s royal family. So the architecture is appropriately grand, with elegant palazzi, sweeping promenades, landscaped gardens and beautiful piazzas. You can see all architectural styles from the Renaissance and Baroque to Rococo and Neo-Classical. Piazza San Carlo is considered the most beautiful in Turin, surrounded by 17th-century buildings and with a magnificent equestrian statue in the centre. The massive, square-shaped Piazza Castello is the city centre, dominated by Palazzo Madama, the ancient castle that gives the square its name. My favourite is the Piazza Vittoria Veneto (pictured below), one of the largest squares in Europe, ending where the River Po cuts through the city. Cross the bridge over the river and visit the Gran Madre di Dio church, a 19th-century church built along the lines of the Pantheon in Rome. 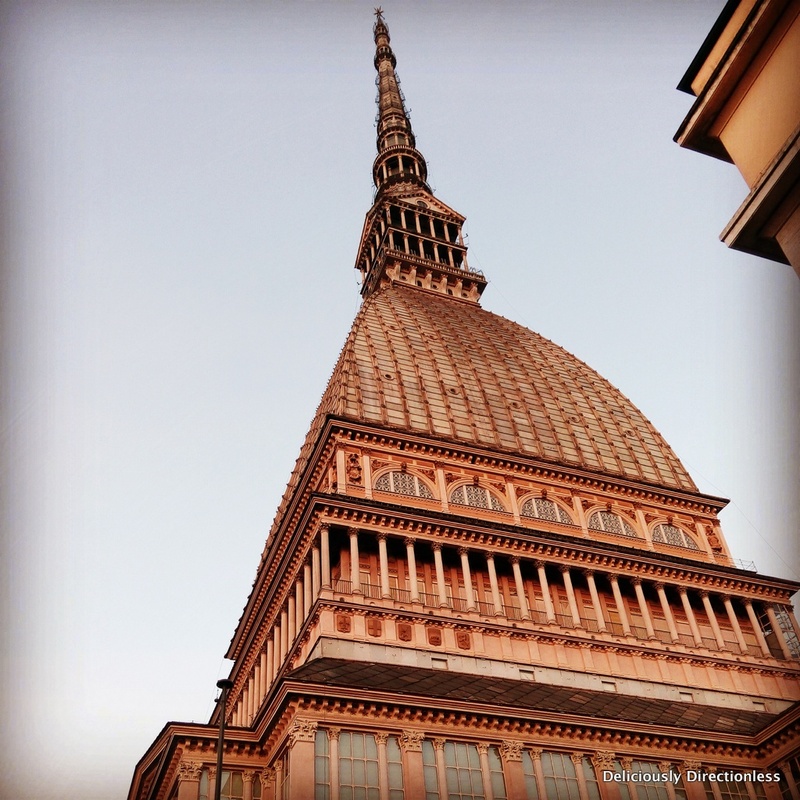 One of Turin’s most striking landmarks is the Mole Antonelliana – the world’s tallest museum. The building houses one of my favourite museums – the National Museum of Cinema. It’s an ode to the art of movie-making; there are many ‘rooms’ that depict various genres and different parts of the film making process, and all of them contain screens that constantly play some movie or the other. 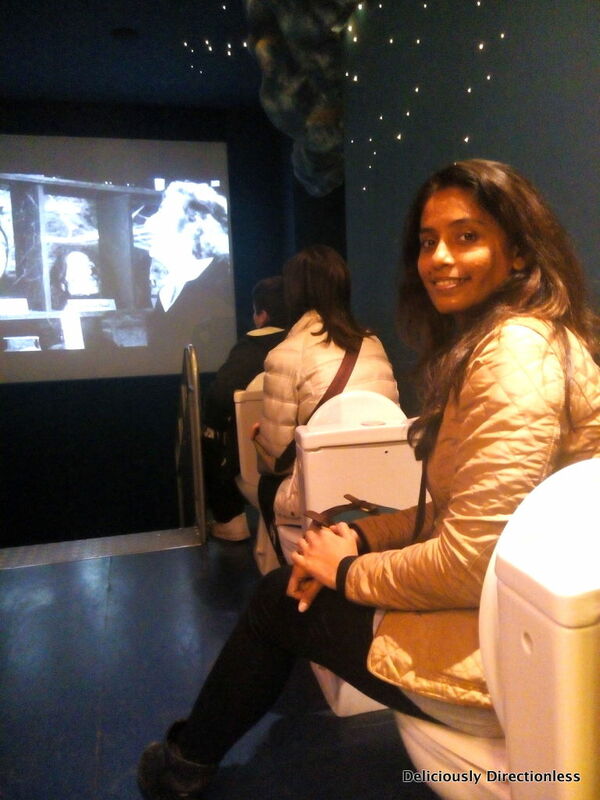 My favourite is the room with a row of WCs – you can watch a movie while seated on the pot! The museum hosts special exhibitions from time to time – we saw an exhibit on Sergio Leone and his spaghetti westerns (the last time we were in Turin there was a fantastic exhibit on Martin Scorsese). 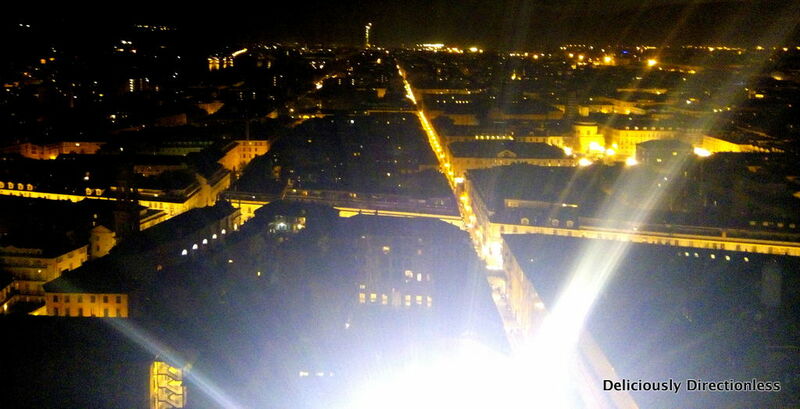 You can take the elevator up the Mole and get an amazing 360° panoramic view of the city. Another fantastic museum in Turin is the Egyptian Museum, which houses one of the best collections of Egyptian artefacts, second only to the National Museum of Cairo. 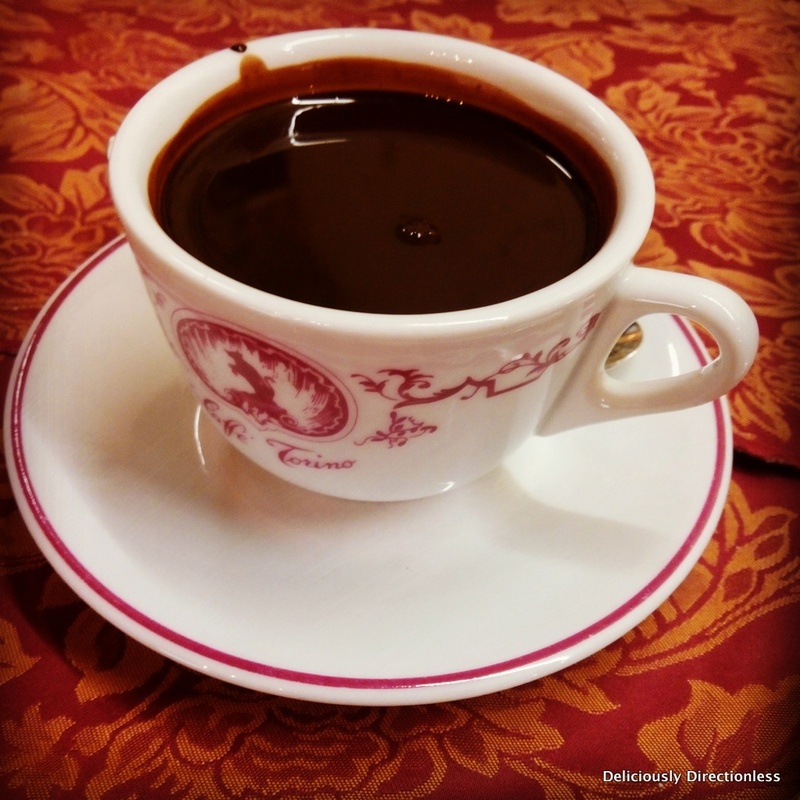 If you have had hot chocolate in Turin, nothing else will do! Luscious, thick, decadent (and dare I say it, much better than Swiss chocolate or the Spanish one served with churros). Head to the more-than-100-years-old Caffè Torino in the pretty Piazza San Carlo for a cup of hot chocolate – get it to go or have it standing at the bar, unless you want to grab a seat and pay thrice the price 😉 Turin is also known for its gianduiotto – a medley of hazelnut and chocolate, usually sold in small, upside-down boat-shaped bars. Sample these (and other artisanal chocolates) at Guido Gobino – either take a tour at the chocolate factory or buy your fill from the shop on Via Lagrange. 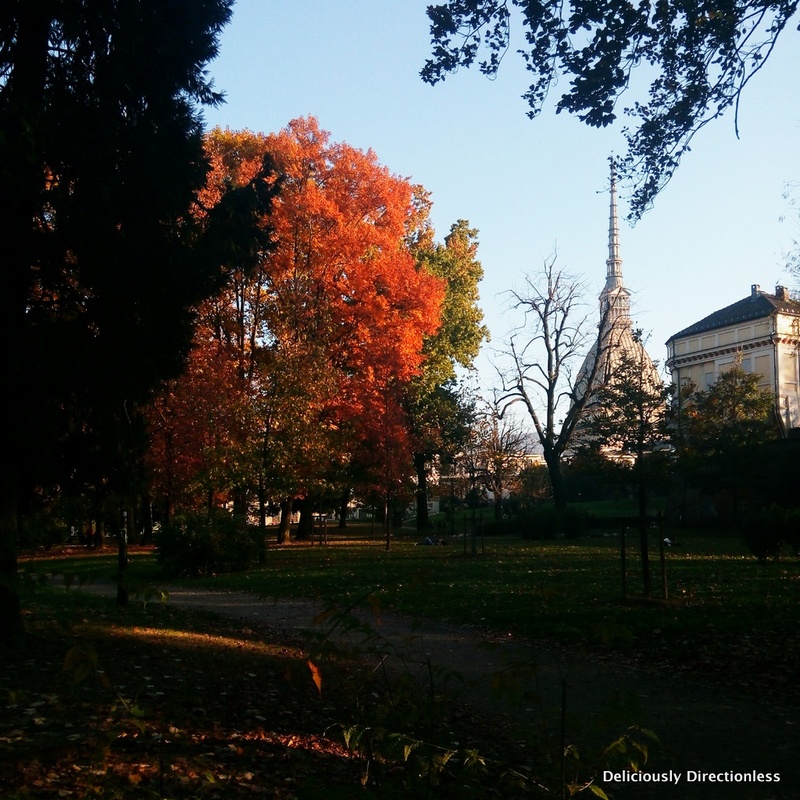 Just like Vienna, Turin also boasts of a thriving cafe culture, and teems with several historic cafes. Caffè Al Bicerin is the oldest in the city, and has been around since 1763. 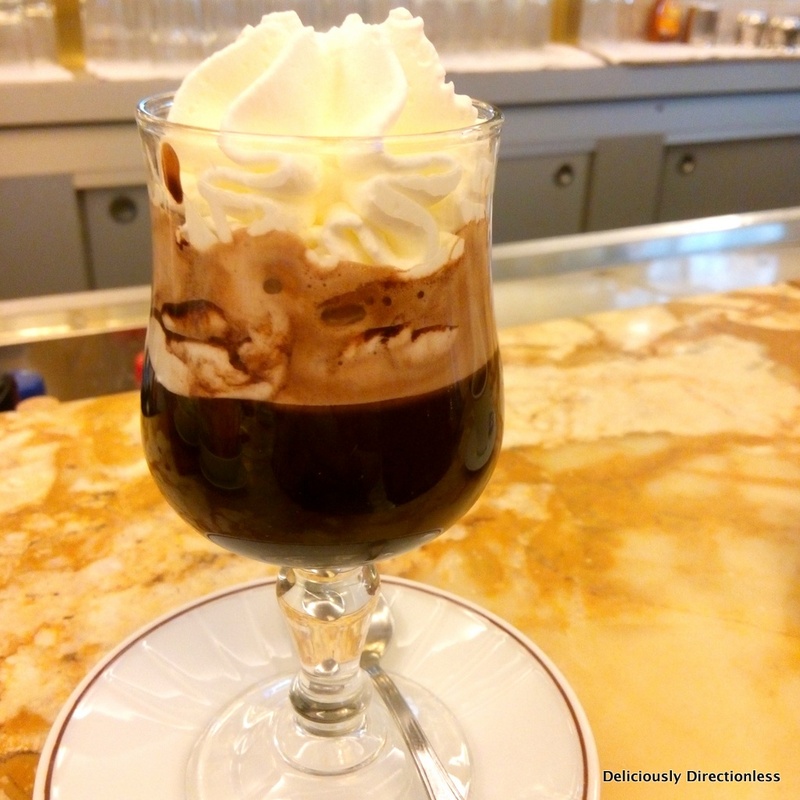 It’s most famous for the delicious Al Bicerin coffee – a shot of espresso, a layer of rich, hot chocolate and topped with cream. Don’t stir, drink through the layers and discover new levels of pleasure!Caffè Fiorio, founded in 1780, seems stuck in time – with its velvet upholstery, vintage mirrors, and the ancient waiters. It’s known for its coffee and gelato. They make a mean Al Bicerin too. Caffè Torino opened in 1903 is closer to a Viennese coffeehouse – with high ceilings, crystal chandeliers, red and gold upholstery, basically the works. It’s no wonder that the Slow Food Movement is headquartered in Piedmont, in a town called Bra, very close to Turin. 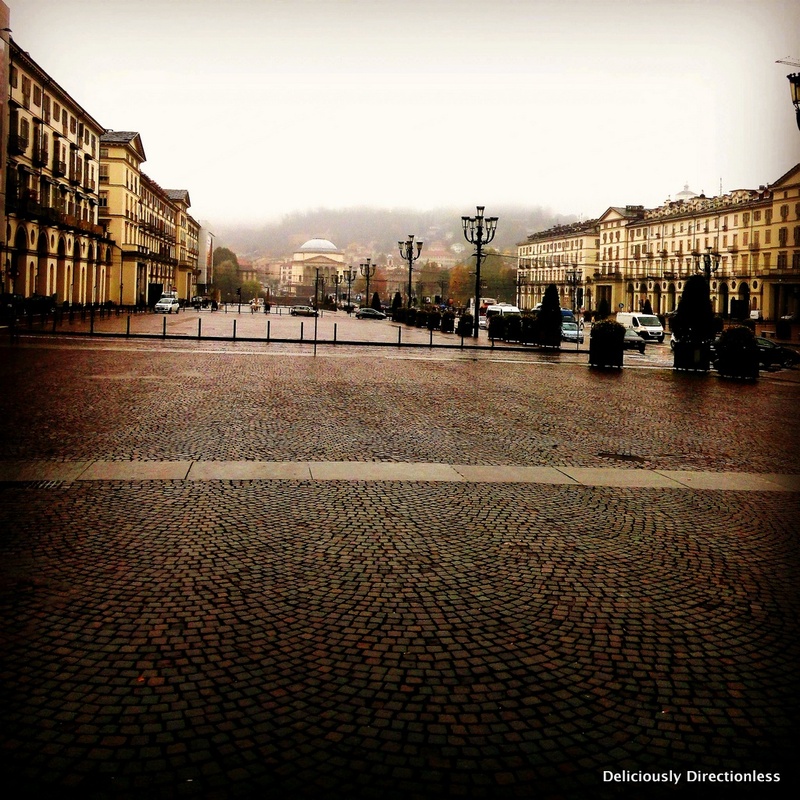 Turin also plays host to the Salone del Gusto, the world’s largest food & wine fair. So you will eat well in the city! 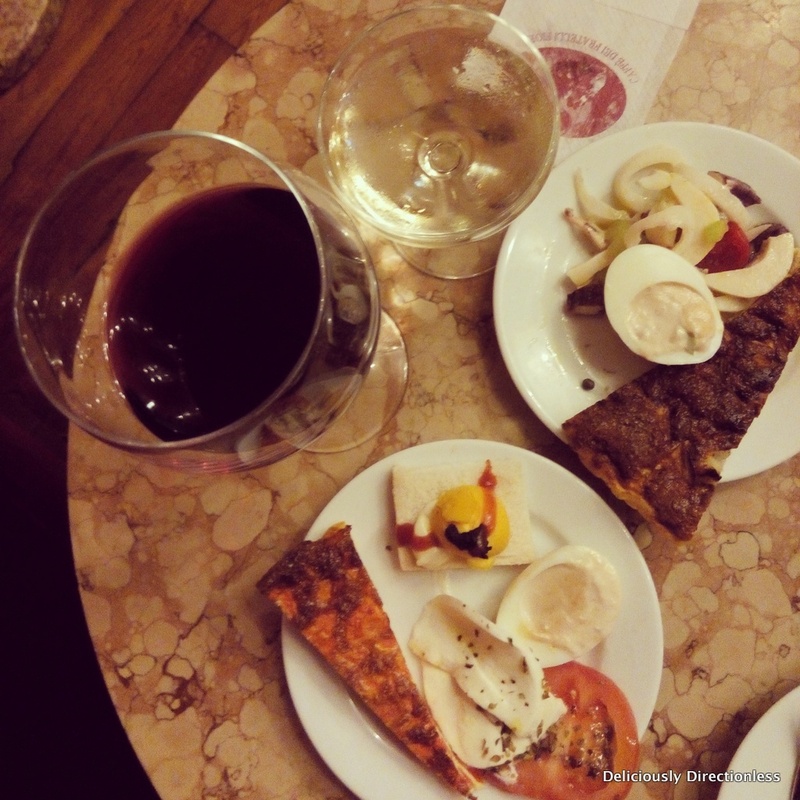 If you’re looking for a budget meal, head to one of the cafes, many of which offer the apericena – a glass of wine and unlimited selection from a huge buffet, all for about €7-8. 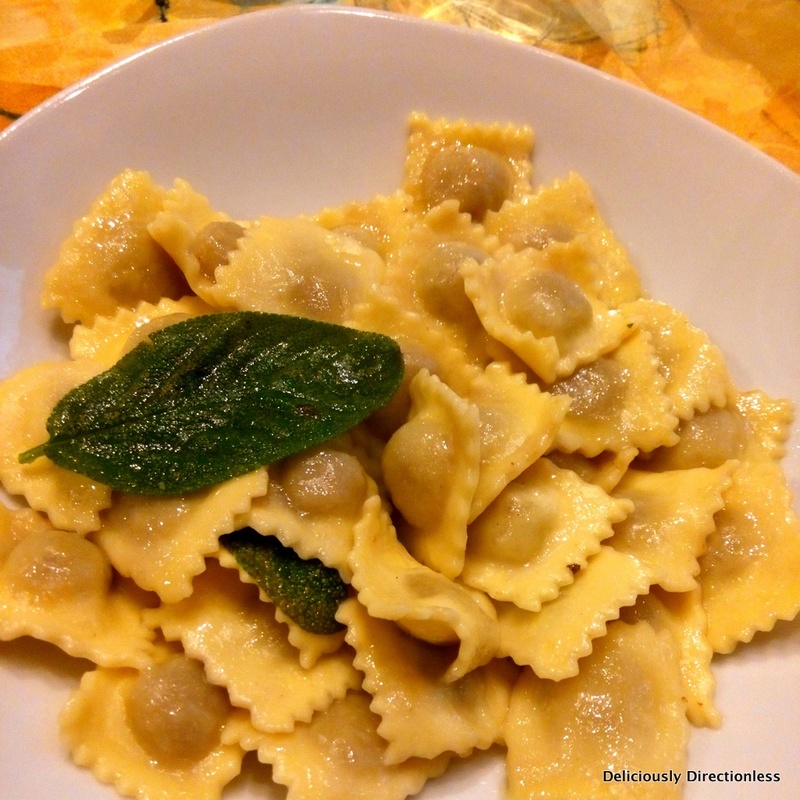 When in Turin, try the local pasta variety called agnolotti – small ravioli-like pasta, stuffed with meat. Pair it with a crisp Arneis or a robust Barolo wine, both from Piedmont. I’d recommend the Enoteca Vineria La Buta Stupa for this dish – a tiny restaurant I chanced upon near the Mole. 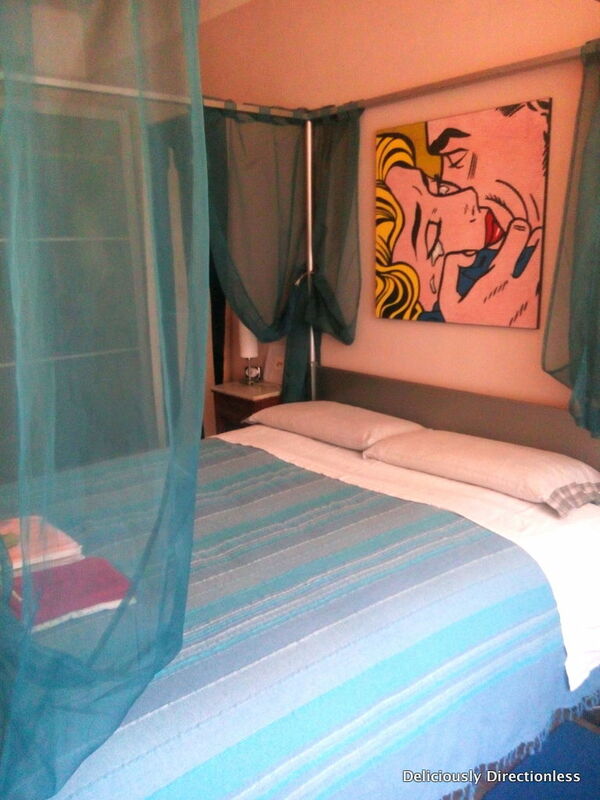 On our first visit to Turin, we had stayed at a lovely little BnB in the suburbs of Turin. While it was a fantastic place, with a warm host, the second time around we wanted to stay a bit closer to the city centre (and the action). 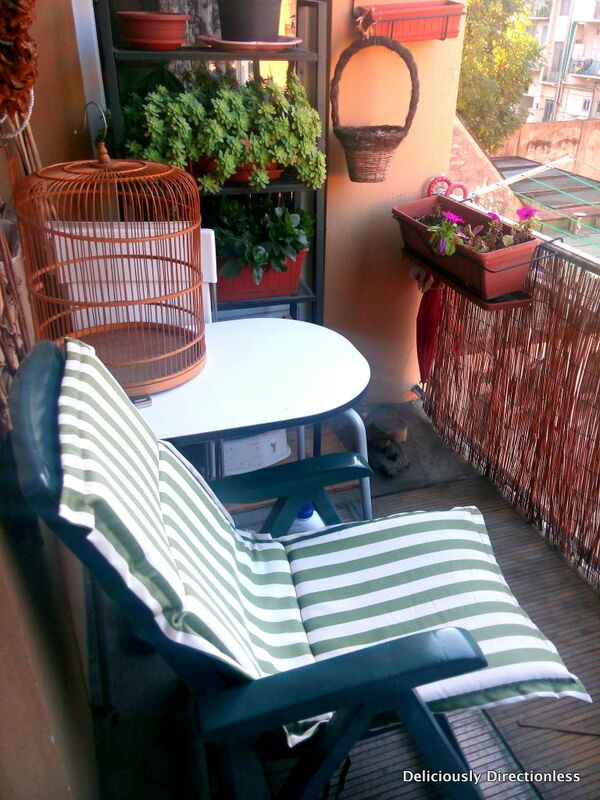 AirBnB has gradually become my go-to resource for vacation rentals, and I have almost always found apartments in central locations, at a fraction of the cost of hotels in similar areas. The husband was keen on visiting the Museum of Cinema again, so we narrowed our search to the area around the Mole. 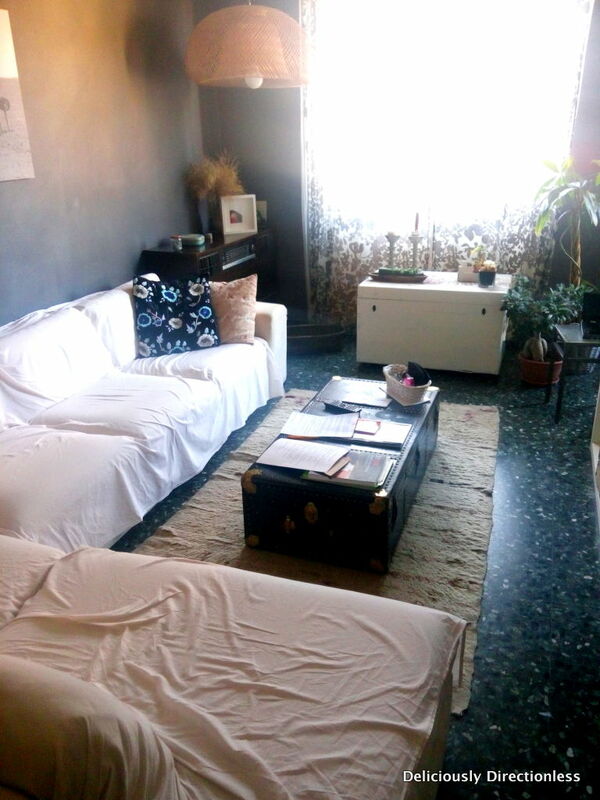 We couldn’t believe our luck when we found Loredana’s apartment, just a 5-minute walk from the Mole, and a 10-minute stroll to the city centre. The apartment is on a quiet street, on the third (or was it the fourth? I can’t remember…) floor of a building with an elevator (thankfully!). Loredana was there to settle us in her home. We had the whole apartment to ourselves. It was bright, airy and we loved the cool blue tones it was done up in. The living room was huge (with two big couches & a TV) as was the bedroom, which had a lovely four poster bed (I’m a sucker for four poster beds!). 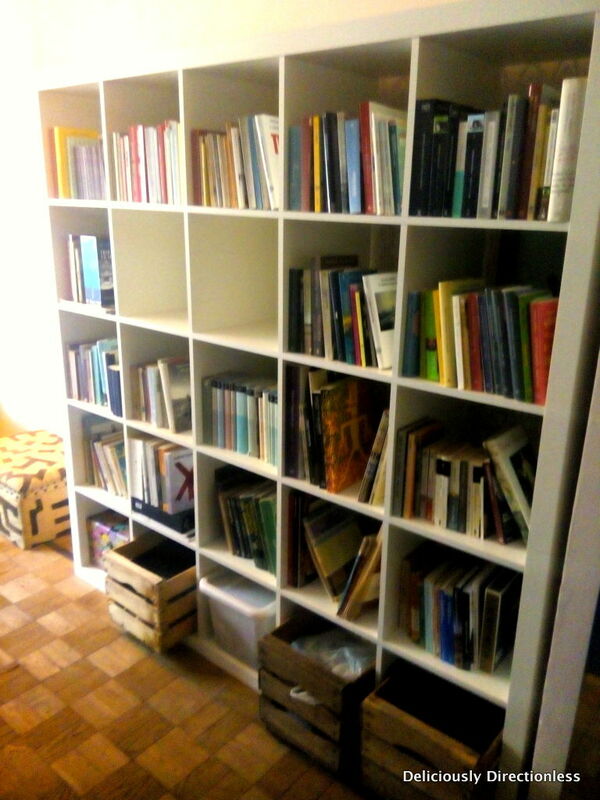 There was lots of storage space. 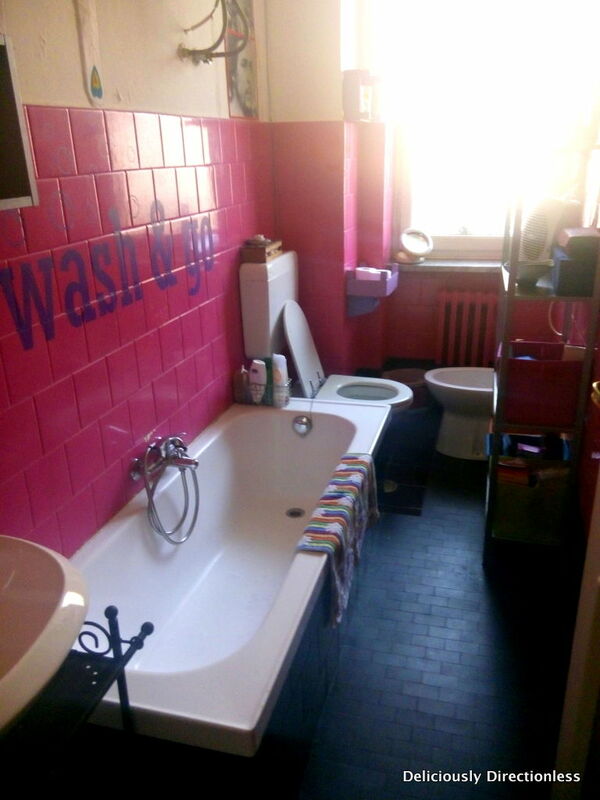 There was a massive bathtub in the bathroom. There was even a lovely balcony just off the kitchen. 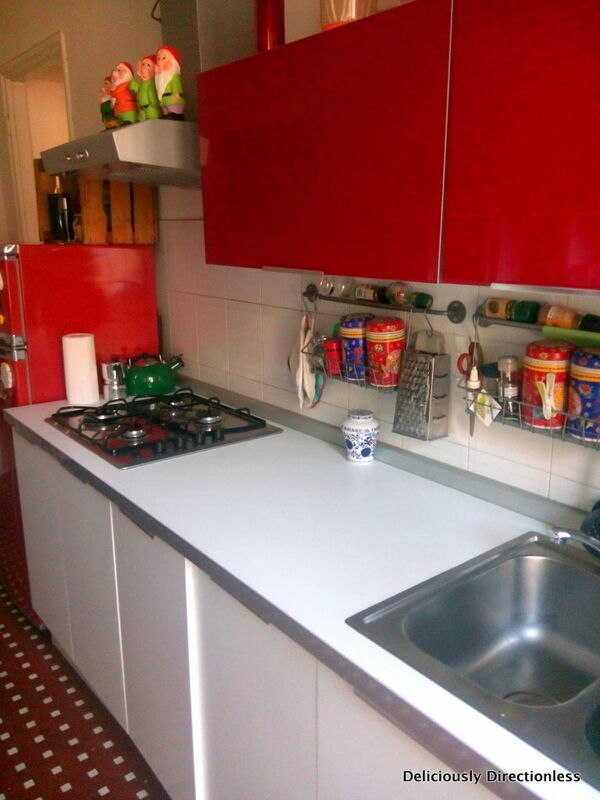 Since this is Loredana’s home, the kitchen was fully stocked and functional – refrigerator, microwave oven, kitchen range, pots & pans, and a washing machine (which was unfortunately out of order when we stayed). If you aren’t already on AirBnB, sign up using my referral code and get credits to help you get started! So will you be adding Turin to your Italy itinerary? 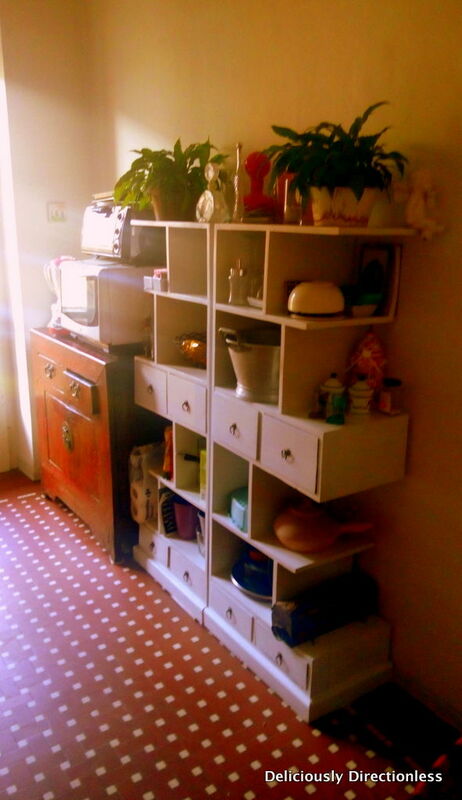 The photos from AirBnB are helpful and lovely. I'm always a little cautious of trying them out, but it's always good to have a first-hand and reliable review. AirBnB can be a hit or miss, but yes, I do rely on the reviews and I generally read most of them before booking.